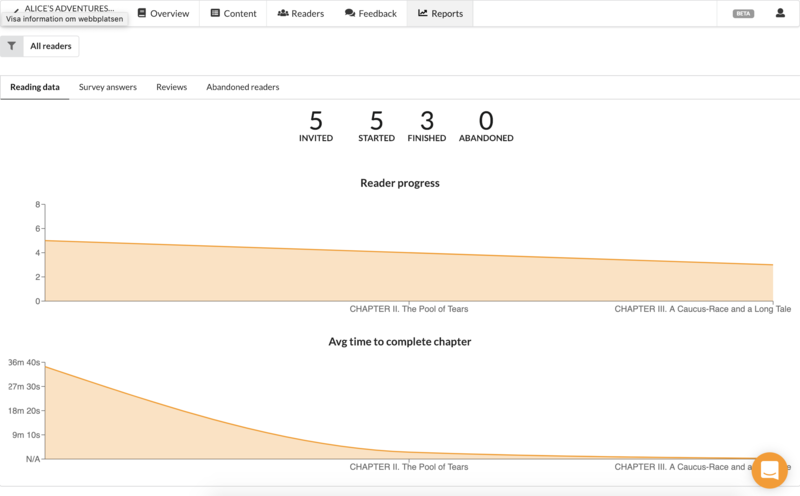 Once your readers have started reading your story, you'll want to follow up on their progress. Nothing is as satisfying as seeing in real-time people consume your story! You'll find the reports for your book under the "Reports" tab. Use this tool to zoom in or filter out data for specific readers. This report shows how how many readers in this segment that were invited, how many of those who have started, and how many of those who have finished the entire story. 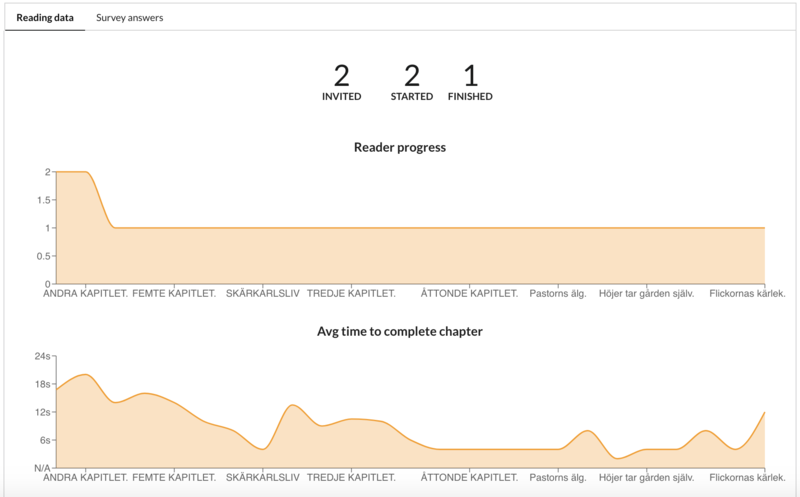 The graphs give an instant overview of how far your different readers have made it, as well as the average time it takes them to complete each chapter. Use this to understand how they consume your story. 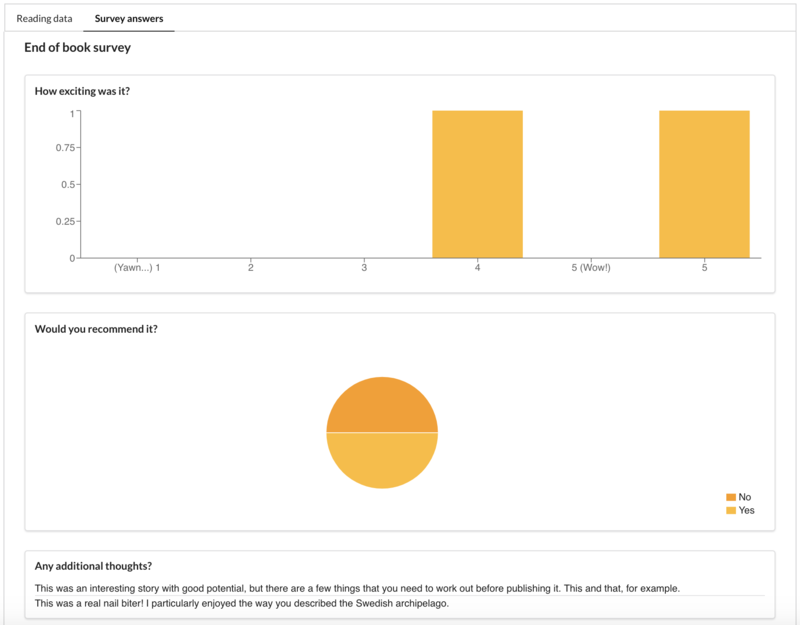 The survey answers report shows how the selected readers responded to all the surveys that you've added along the story.